As part of the branding strategy for mattresses, coming up with a catchy name helps grab the attention of potential customers. 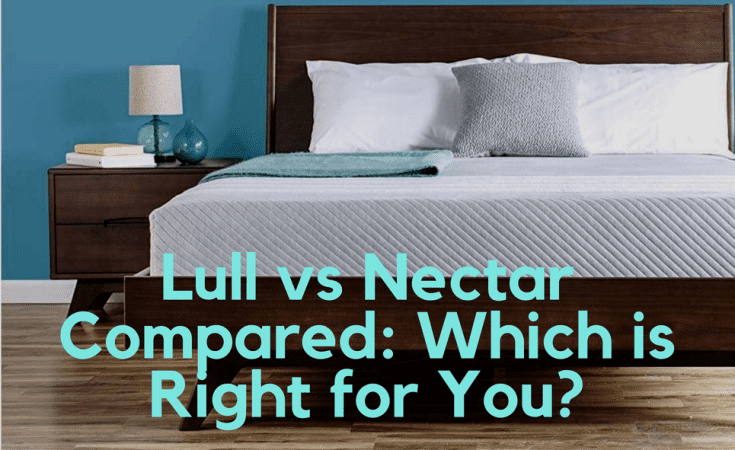 For example, look at two catchy mattress names we have competing in this comparison article: Lull and Nectar. Of course, Lull captures the goal of a mattress lulling you to sleep, but what does nectar have to do with nightly slumber. It might be a stretch, but we like to think of Nectar along the lines of delivering sweet dreams. All kidding aside, putting together a mattress comparison article is an important part of helping consumers decide which mattress is the right one to provide years of healthy sleep. Think of the time we spend performing research on the purchase of a new car. We spend more time on a mattress than we spend in a car, which should make buying a mattress at least as important as selecting the best vehicle. Mattress shopping is important for one reason above all: Your health. Getting a good night’s sleep goes a long way towards determining your mental and physical health. We need sleep to rejuvenate the brain, as well as every component that makes our bodies hum like well-oiled machines. Since we spend about one-third of our lives sleeping, we need to spend the time it takes to find the mattress that matches our sleeping needs. Before we review the Lull and Nectar mattresses, let’s go over some of the factors involved in buying the right mattress. We finish the article with a section that discusses mattress buying tips. If you asked 10 people what they considered to be the most important factors for purchasing a mattress, you would probably receive 10 different answers. However, we believe there should be several mattress buying factors included on every list. How you prioritize the following mattress buying factors depends on your preferences. Many bedding industry experts agree comfort should form the pinnacle for every mattress buying factors list. Although you do not have a scale to use as a reference point for measuring comfort, a growing number of mattress manufacturers have turned to a standard color-coded chart to educate consumers about the comfort level of a wide variety of mattresses. Mattress comfort ranges from plush to very firm, with other factors such as temperature and motion transfer contributing to a mattress comfort analysis. No other factor matters more in the decision to purchase a mattress than comfort. How you define comfort probably differs than the definition of mattress comfort used by the person behind you in the checkout line at a bedding store. One of the first thing consumers should learn about mattresses is this: Different styles of mattresses cater to different types of sleeping positions. It is not just the three primary types of sleeping positions that matter. The way you sleep on your side, back, or stomach also plays a role in the style of mattress that works best for you. Although back sleepers typically prefer sleeping on firmer than average mattresses, the degree of firmness depends on whether you sleep on your back nearer the edge of a mattress or more towards the middle. 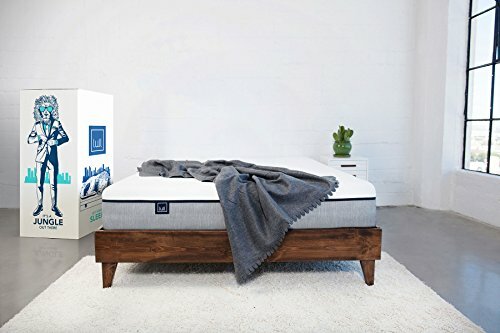 If you are a back sleeper that prefers to trap body heat in the middle of a mattress, you should consider a mattress that is close to or at the end of the firmness scale. On the other hand, side sleepers need spine curving support near the edge of a mattress. Twin and full mattresses work best for single sleepers, as the width for each mattress is not large enough to sleep two average size adults comfortably. Starting with a queen mattress, a couple of adults can find enough room to spread out on his or her side of the bed. Mattress size does not refer as much to length, as most types of mattresses accommodate sleepers that are around six feet tall. If you require more leg room, then we suggest ordering a customizing new mattress direct from the factory. Remember there is a correlation between mattress size and mattress price. The body undergoes several temperature changes throughout one healthy sleep period. Look at the body during sleep as you view the way a car performs. As the motor revs up in a car, the temperature of the engine begins to heat up. When a car slows down to come to a stop, the engine starts to cool down. Although the body goes through similar temperature changes during the night, the changes are much more subtle. Nonetheless, the subtle changes can turn a comfortable night of sleep into a sweaty mess or bone-chilling discomfort. For sleepers that experience an increase in body heat at night, some manufacturers offer gel infused memory foam mattresses that maintain a cool sleeping environment. Cool sleepers need mattresses that trap body heat and do not allow air to circulate between the middle transitional and bottom foundation layers. When you associate mattresses with pain, you probably think about how certain mattresses exploit body pressure points. Most mattress manufacturers view pain the same way and hence, design and manufacture mattresses that help prevent pain caused by pressure points. However, a growing trend in the bedding industry involves designing mattresses that reduce neck, back, hip, and shoulder pain. This means if you already experience pain in one of the vulnerable areas of the body, you can find a mattress that does much more than prevent the pain from getting worse. You can sleep on a mattress that massages painful areas like the neck and shoulders while you sleep. Lull recently tweaked the design of its signature mattress and the response has been overwhelmingly positive from both customers and bedding industry experts. The company has earned more than 8,000 five-star customer reviews, with an impressive 4.8 out of 5 ranking from the Google Trusted Store. Lull, which makes cooling and firm support design priorities, receives praise for delivering outstanding customer service. “Sleep experts” take customer questions and solve mattress issues every day of the week from 6 am to 6 pm PST. Our Lull mattress tests revealed several positive attributes, as well as a couple of minor issues that could deter some consumers from buying the company’s signature mattress. We are not particularly fond of memory foam mattresses that include multiple layers measuring only 10 inches. However, Lull pulls off creating a 10-inch thick memory foam mattress by constructing three different layers that work flawlessly together. Each layer has its own sleeping purpose. The 1.5-inch comfort layer is memory foam infused with gels to produce a cooling sensation on the body. It takes about two minutes lying on the Lull mattress to experience the cooling effect of the first layer. If you sleep hot throughout the year, you should enjoy the cooling effect of the top Lull mattress layer. Another 1.5 inches forms the transitional layer, which means the top two layers combined measure just three inches. Yet, Lull defies thin mattress layer perceptions by manufacturing the second layer to prevent sinkage, especially at the edges of the mattress. The transitional layer also ensures you maintain the proper spine alignment and evenly distribute your weight during the transition from light to REM sleep. Lull uses seven inches of dense foam to form the foundation layer. Seven inches of foam thickness represents the norm for most mattress manufacturers. Sleepers that carry above average weight should consider buying the Lull mattress because of the incredible support provided by the base layer. The cover is where Lull differs from Nectar in terms of delivering a quality sleeping experience. Some bedding experts have written that the Lull mattress cover overshadows the unique and successfully pulled off 10 inches of layered thickness. The cover enhances the already effective cooling effect of the first layer by encouraging the circulation of air between the first layer and the transitional layer. Incredible breathability helps foster a sleeping environment where you should remain comfortably still throughout the night. The polyester cover withstands the punishment handed out by active sleepers. You can pull the cover tight and the fabric responds by returning to its initial position quickly. Uncomfortable fabric bunching is not an issue with the Lull mattress cover. Lull has historically preferred to design mattresses that lean towards the neutral side of firmness. The thinking is to attract as many consumers as possible by delivering middle of the road support. Therefore, if you require a firmer than average mattress to support your back, you might be better off testing mattresses that exceed the firmness rating of 6.5 established by the Lull mattress. Although 6.5 sits on the firmness side of neutral, it is not far off from the neutral rating of 6. Stomach and side sleepers should like sleeping on the relatively firmness neutral Lull mattress because of the solid support and the effectiveness of the top layer when it contours to different body shapes. Another seamless joint venture between the top layer and transitional layer limits the amount of motion transfer. Lull’s version of firm support, while not overdoing the firmness part, makes the mattress perfect for couples. When one partner gets up to satisfy a snack craving during the middle of the night, the other partner should not feel the rippling effect of motion transfer. Edge support is above average, which should appeal to sleepers that start sleep off near the side of the Lull mattress. Do not expect much of a bounce from the mattress, unless you carry above average weight for your body shape and size. Over the past few years, Lull has set the same price points for its flagship mattress. Lull mattress prices start at $500 for a twin to $900 for a California king. The company partners with several merchants to offer downloadable coupons that consumers bring into store for price reducing redemptions. Lull’s free shipping policy guarantees the arrival of a new Lull mattress between two and seven days from the time of an order. The 10-year warranty is not as long as the length of other mattress manufacturer warranties, but the warranty covers every mattress feature created by the company. 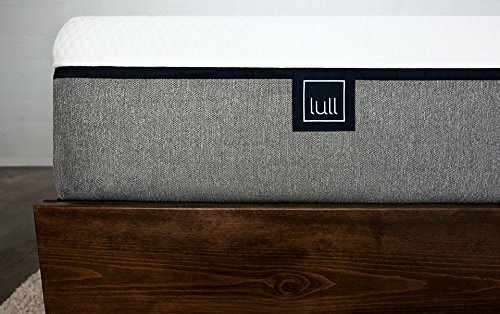 Lull extends its free home trial for 100 days, which is more than enough time for you to determine if the Lull signature mattress is right for your sleeping style. 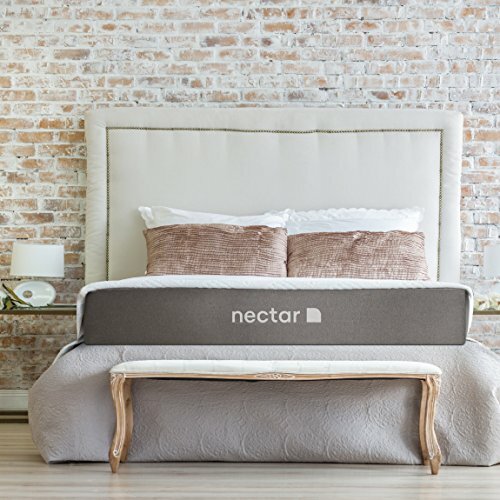 Nectar greets visitors to the company website with “It’s like sleeping on a cloud.” For all the hyperbole in the mattress industry, that is a pretty bold statement. The mattress manufacturer promotes the recent advances made in fabric and mattress technology to produce “optimal levels of firmness, coolness, and breathability.” Nectar goes on to make the most important claim of all: “One of the best things about the Nectar mattress is that it relieves pressure wherever you feel it the most.” Does the East Palo Alto, California back its mattress quality claims? Nectar shatters mattress tradition by designing four layers of support. The top one-inch layer contains gel quilting foam. It generates considerable loft to encourage air circulation and it works with what normally would be the first layer to boost body contouring. The generous contouring should appeal to consumers that sleep in every conceivable position, with side sleepers enjoying the most significant cooling effect. Another attribute of the unique one-inch addition of a fourth layer is how it produces the type of float feeling other mattress manufacturers can only dream of achieving. The quilted top layer adds to the final price tag, but the addition of the one-inch gel foam is worth the cost. You can refer to layer number two as layer number 1A. The second layer also contains gel memory foam and it spans three inches to help evenly distribute body weight. Adults carrying above average weight should enjoy the weight distribution feature that is effective at reducing pressure point pain. Nectar has received five patents for the design of the Lush Foam second layer and the foam is about as premium as it gets in the bedding industry. The expensive foam is also used in the healthcare industry because it quickly recovers to its original shape. Hi-Core memory foam comprises that one-half inch third layer. As another innovative mattress design element, the third layer is unique because no other mattress manufacturer uses the material to construct mattresses. The third layer allows the mattress to make a smooth transition from providing supreme comfort to delivering firm support that controls pressure points. Thinner than most base layers, the 5 1/2 molded fourth layer moves air through specially created channels. The unique one-inch first layer acts like a mattress cover. It promotes the circulation of air and enhances the soft contouring of the second layer, which we now know performs more like a first layer. 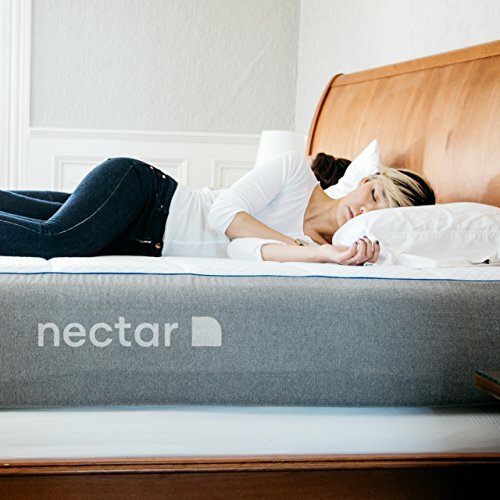 Did nectar have to add a cover to its signature mattress? 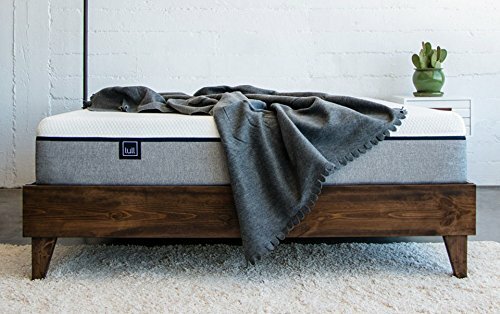 The cover does not detract from the outstanding performance of the mattress, but it does not accomplish much, except possibly another reason to price the mattress higher than competing brands. At the time of the publication of this article, Nectar does not allow the exclusion of the cover as an option for mattress customization. With most of the comfort provided by the first two layers, the Nectar mattress must do some heavy lifting with six and one-half inches of firm support delivered by the bottom two layers. Incredibly, the firmness delivered by the bottom two layers ranks the Nectar mattress as a firm mattress, which is a ranking just below very firm. All the plush comfort produced by the first layer complements the firm support needed for sleepers to get through the night pain-free. Limited sinkage and motion transfer make the mattress a sound choice for couples. In fact, Nectar should promote the mattress to couples that experience one or more partners frequently getting out of bed at night. A 130-pound weight placed on the mattress caused less than five inches of sinkage and the bottom two layers immediately recovered to support the softer top two layers. Several tests confirmed the Nectar mattress supports up to 400 pounds of individual weight on a twin and full mattress while supporting nearly 800 pounds of combined weight on a King or California king mattress. All the groundbreaking layer features do not translate into a mattress price that exceeds consumer expectations. Nectar mattress prices range from $550 for a twin to $950 for a queen (Check out the latest prices here!). However, the company does not participate in many buying incentive programs. What you see for price is typically what you get for price. Nectar destroys the competition by offering a 365-day free sleep trial. Although it is rare to find a consumer that requires a year to make a mattress decision, the length of the free home trial is nonetheless impressive. Nectar offers a forever warranty, meaning the company will take care of any mattress issue, as long as you own the mattress. This is one of those comparison articles when it is appropriate to write “You cannot go wrong with buying either mattress.” Although we came to that conclusion, we believe it is more right to go with the Nectar mattress. Cover aside, you will not find another mattress that uses four layers of memory form to complete the double mission of offering firm support and delivering firm support. The Nectar mattress has a forever warranty and after purchasing the mattress, you will want to sleep on it forever. It might seem like common sense, but you might be surprised to learn that a growing number of consumers take to the Internet to buy mattresses. This means no testing of any of the mattresses that make a short list. One thing will never change for mattress buyers: you have to spend time on a mattress to at least form an initial impression as for whether to look into a mattress further or move on down the aisle to the next mattress candidate. After reading this comparison article, you should come away with solid research that takes you to other places online. You see, there is room for the Internet during the mattress shopping process, and it happens at the beginning of the journey. We recommend visiting customer review sites to see what consumer think about the Lull and Nectar mattresses. You are not concerned with overall ratings, but why a customer-rated a mattress they way he or she did. Then, head over to the Lull and Nectar websites to learn more specifics about each mattress feature. Stay away from the marketing content; pay attention to mattress specifications. Your hard work is not done until you sign the agreement on delivery day. Make sure you find a label that reads “All new material.” The label should appear on every new mattress. Thoroughly inspect the mattress to confirm it is mint condition. Small rips and tears can appear, whether the damage occurred at the factory or when the mattress was in transit. Make sure the mattress is the same size mattress you selected when you bought it at the retail outlet. If you notice something wrong, contact the customer service department to work out the problem. Finally, buying a mattress involves the same negotiating skills you use when purchasing a new vehicle. Yes, haggling over a mattress does not involve as much money, but it can improve the performance of the mattress and/or help you save money on other bedding accessories. In fact, negotiating the price of a mattress is more about receiving more features for the same price offered by the manufacturer. This is another reason why you must perform detailed research on the manufacturer’s website to optimize the performance of a new mattress. 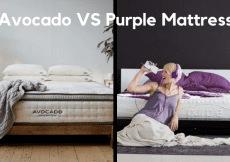 Avocado vs Purple Mattress: Find the Most Comfortable Mattress! 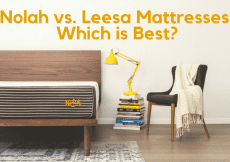 Nolah vs. Leesa Mattresses: Which is Best?